Every week the pre-school level children (ages 3-5 years) venture out of the nursery to the local parks and woodlands for ForestSchool. The visits allow an unrestricted approach to learning, enabling the children to be active and encouraging them to notice the environment around them. While exploring the grassland, trees and flowers, the children also listen to and watch the birds and other wildlife such as insects and squirrels. The sessions are key to building a child’s confidence, where activities such as den building, tree climbing, wood whittling and rope making give the children a real sense of achievement, they are able to learn a new skill and improve coordination at the same time. This unique learning setting provides a completely different experience to the classroom, where risk taking is not frowned upon but encouraged meaning the children can challenge themselves. These sessions mean the children aren’t just looking at photos of the things they are learning about, but they are seeing, hearing and touching them in real life, creating the most memorable lesson possible. 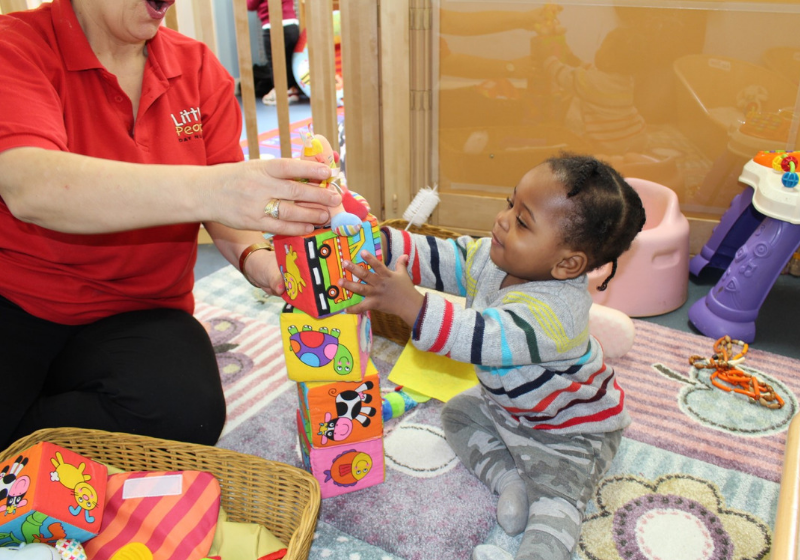 The classes are a key part of our week at the nurseries as we believe they play an essential role in a child’s development. Use of an outdoor space can assist a child in their physical development allowing them to run, ride bikes, push and pull trucks, dig, climb and balance on climbing frames and bridges. Our digging and growing areas allow them to improve their knowledge and understanding of the world around us. They learn to grow and care for plants and investigate the insects or small animals they encounter along the way. They are encouraged to work together, take turn and pay attention to what they are doing through a variety of games, planting, mud kitchens, and use of all the outdoor equipment… but most of all have fun! We encourage children's problem solving and numeracy skills in helping them to measure how tall the plants are, how much the potatoes weigh and how many worms they can find etc. Their creative development is supported through looking at different colours and textures, making collages, listening to and identifying the sounds present in the garden and creating art work based on looking at the small details of the things around them. The outdoor world provides vast scope for expanding children's vocabulary when we include all the words associated with plants, animals and insects. The children are given the opportunity to use the outdoor chalk boards to express themselves. They are encouraged to use the outdoor seats and bean bags to read, or just sit and watch a small insect crawl along the floor. Enabling your child to have the opportunity to really watch and comment on that small wonder. Our outdoor areas are extensions of our indoor areas which offer greater scope for activities and encourage children to continue their development in the fresh air.